Moshi Movie Coming to Australia! Moshi Movie, The Great Moshling Egg will be playing in Australia on February 20, 2014! How awesome is that? 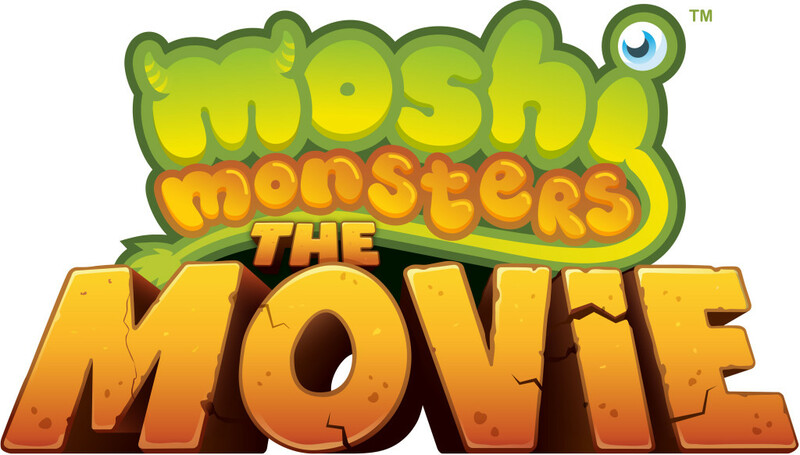 Australian fans will have the Moshi Movie premiered just two months after the UK does! I am not too sure about United States and Canada. I am just keeping my fingers crossed, as there are massive fans up north here in Canada/USA! We will just have to wait and see..! So Australian fans? What do you think? Will you be watching the movie? Comment! Psst! United Kingdom fans- The Moshi Movie tickets are now on sale! The movie will only be playing at vue cinemas. So buy tickets for the Moshi Movie at Vue: http://www.myvue.com/ and receive an exclusive free SPLATTER MOSHLING! Tickets for Australia cannot be booked until 2014. More info on that later on! I will continue to post any new dates, information, and countries involved with the movie. Moshi Movie – The Great Moshling Egg – Novel, Soundtrack, and More Updates! Today I have some more updates for you, regarding The Moshi Monsters Movie: The Great Moshling Egg that will be shown in cinemas December 20th! I am posting to introduce the novel, soundtrack, and a few more updates! That’s right! The Great Moshling Egg movie also has a book/novel to it! The Novel will be released in the United Kingdom on December 5th, 2013 just a few weeks before the premier of The Great Moshling Egg movie. Relive the excitement of the first ever Moshi Monsters movie! This retelling of the adventures of Katsuma, Poppet, Furi, Luvli, Diavlo and Zommer as they come up against Dr. Strangeglove and his dastardly schemes is the perfect page-turner for all Moshi Monsters fans! There will be a soundtrack to The Great Moshling Egg movie that will be released on December 9th, 2013! The track will include 20 songs from the movie itself! It will come with a unique secret code as well! So basically, it is another new album being released by Moshi Mosnters! A new Moshi Movie poster has been released! The Moshi Movie Tour event just ended it the UK and turned out to be an amazing success! Moshi is continuing to post sneak peeks and previews of the movie online! The Moshi Movie hits the screens in 3 weeks! How awesome is this? What do you all think? Can you guess correctly who could possibly be saying this part in the movie? (To the right) COMMENT! Hey Everyone! Moshi vs Ghosts has been released! Five New Moshlings have been released in the zoo! First I will show you the new Moshlings then I will give you guides for Moshi vs Ghosts, as it is divided into four different parts. The mission can be completed at the Goosebump Manor on the Moshi Map. You must get 10,000 Gloop in Moshis vs Ghosts! This is actually somewhat similar to The Great Moshi Beanstalk earlier in the year! There is lots of complete! This mission is very different from all the others we’ve had! The rest of the video guides will be up soon! Well, what do you guys think? Have you completed some yet? Which new moshling is your favourite? Let us know in the comments! Click here for 100+ Moshling Codes! Wow! We are the very first to share this on the web! Have you got Micro Dave yet? Let us know in the comments! Very exciting! The Great Moshi Beanstalk – Part 4 – Cloud Kingdom + Weeny Moshling! Whats up the Beanstalk? Week 4- The Great Moshi Beanstalk! It’s Monday! You know what that means! BEANSTALK! 😀 The first/second/third part are for Moshi Members only. Sorry non members! In part 1, 2, and 3 you will receive 100p & 100 rox. At the end you also get Weeny! Climb the beanstalk; keep climbing until your monster moves up to a certain part. Play part 3, follow hints for help – receive 100xp and 100 rox AND Weeny moshling! As you play this, at the end moshlings march out with confetti as the Beanstalk is complete! No more danger at this time! Monstro City is saved! Also, the new Puffin Moshling, Giggles is spotted! Check it out! Anyways, what do you guys think? Now the Beanstalk Summer mission is complete. Unfortunately, we won’t be able to play it soon. There also won’t be any more parts! 😦 I loved the Beanstalk because of all the XP and Rox, and moshlings! So awesome! Thanks Moshi Monsters! Have you completed the Beanstalk? Got all four moshlings? Did you know in total we have got 1300 XP and Rox in the beanstalk, including 4 moshlings?! That’s crazy!